Game Boy Advance emulators are very hard to come by, especially if you do not jailbreak your device. GBA4iOS, a Game Boy Advance emulator for iOS devices, gets around Apple’s App Store restrictions by using a loophole in the company’s developer enterprise program. In the second version of the app developer Riley Testut includes more features, an all new user interface, and an abundance of bug fixes. 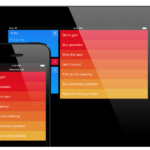 The new version of the app brings an iOS 7 inspired look with a bigger emphasis on thin fonts and transparent menus. GBA4iOS 2.0 gives users the ability to customize their controller with different themes. In addition, the latest version of the app brings Dropbox sync support letting users transfer their games and save states to the cloud. Additional features include, iOS 7 controller support and full support for cheats. When GBA4iOS 2.0 is released, users can install it on their iOS device by simply opening the link in Safari, and follow the instructions at the top of the page. Version 2.0 of the app will support any iOS 7 device or higher, and it has been optimized for iPad. Currently users can install version 1.6 directly from either of these two links, iEmulators or Start3rs. 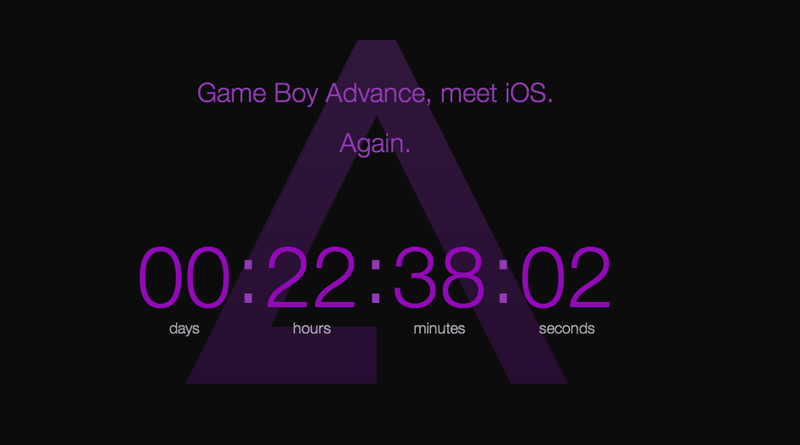 GBA4iOS 2.0 only: Tap the plus button in the top right corner of the main screen to launch the in-app web browser. Open the ROM website of your choice, then find the game you want to download. Begin the download, and it’ll automatically appear for you to play when it’s done. GBA4iOS 1.6 only: Tap the search button in the top right corner of the main screen to launch Safari. Open the ROM website of your choice, then find the game you want to download. Begin the download, and wait until it completes (on iOS 7, Safari doesn’t display a progress bar, so be patient!). Once it’s downloaded, tap either “Open in GBA4iOS…” or “Open in…” and tap GBA4iOS, and it’ll then open GBA4iOS with the game ready for you to play. Open Safari on your iOS device, go to the ROM website of your choice, then find the game you want to download. Begin the download, and wait until it completes (on iOS 7, Safari doesn’t display a progress bar, so be patient!). Once it’s downloaded, tap either “Open in GBA4iOS…” or “Open in…” and tap GBA4iOS, and it’ll then open GBA4iOS with the game ready for you to play. Download the game you want from any ROM website on your computer. Open iTunes with your iOS device plugged in, then click on your device in the top right corner. Click “Apps” at the top of the screen, then scroll to down to the “File Sharing” section. 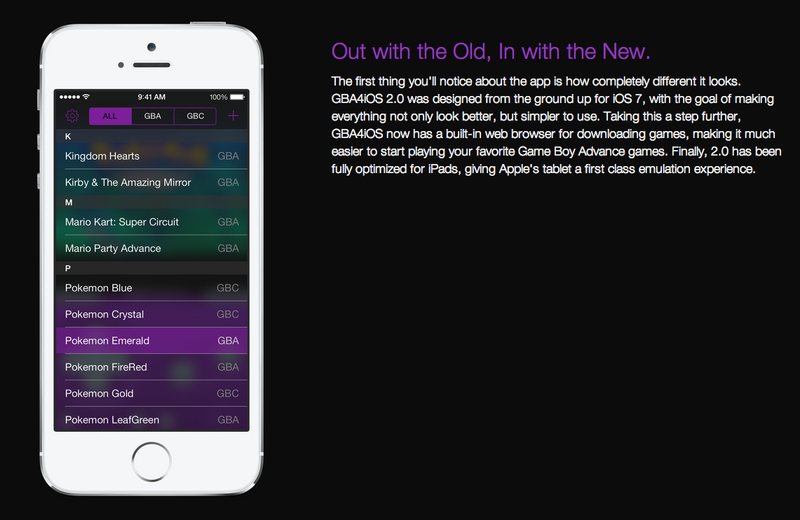 Click GBA4iOS, then drag in the games you want to play. If you are interested in playing Nintendo NES ROMs on your iOS device without a jailbreak, be sure to check out our how-to article here. The iPhone Game Boy Advance emulator hits shelves on Wednesday shortly after 3pm EST, and surprisingly brings more features than the many of the Cydia jailbreak app emulators that are around today.